This post has been swimming around in my head for awhile. The most frequently asked question before a photo session is "what should we wear?". Many friends and clients have also commented on how great the canvas of my boys matches my living room. Well, this did not happen on accident! 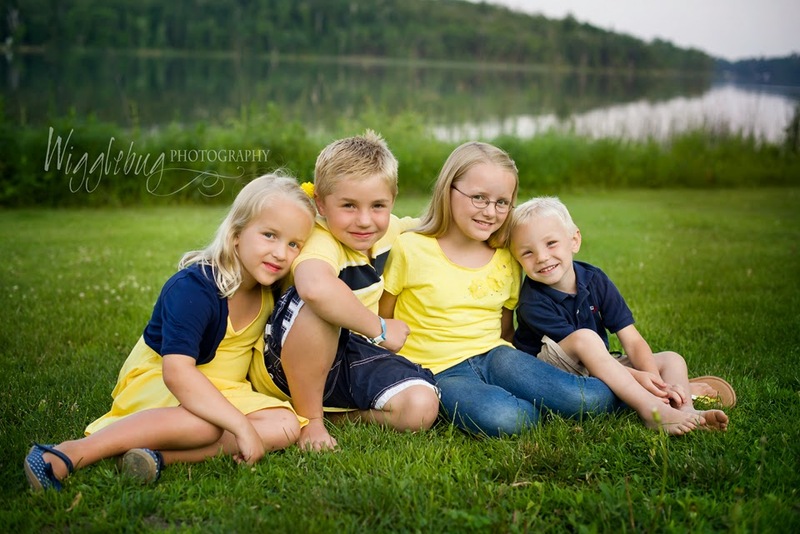 Here are the things I keep in mind when I am planning a family photo session of my OWN family. 1. Where will the photos hang? This is an important question. If you are planning a large canvas to hang in your living room you will want to pick colors that compliment your living room. If you are not trying to compliment a particular area of your home, pick a color that will compliment the environment where the photos will be taken. I have a four foot tall canvas of my boys in my living room above our fireplace. It matches our decor perfectly because the boys are wearing red. 2. Shoes!!! I know, shoes are probably the last thing you consider when planning a family wardrobe. However, shoes are a critical element. They can make a difference between a "nice" photo and an "AHmazing" family portrait. Please do not let anyone wear white athletic shoes and socks. 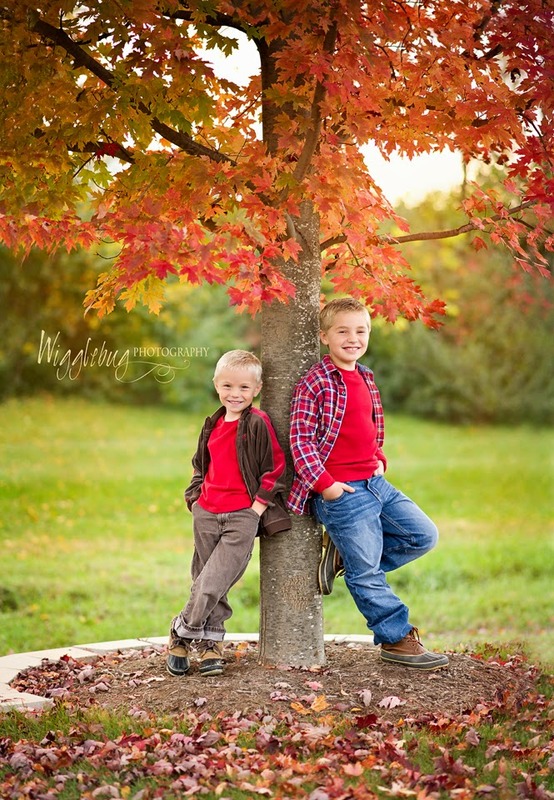 I planned a family session at Blumin Gardens in Sycamore. I bought a beautiful royal blue maxi dress and found awesome shirts for my boys. When my friend Jen saw the photo the only thing she commented on was my husbands athletic shoes! YUCK! Now I plan out everyone's shoes ahead of time. I prefer barefoot if it is the summer and I have cute boots for fall and winter, even for my boys. I try to purchase all the new elements from the same store. This way I know all the tones of the color will match. 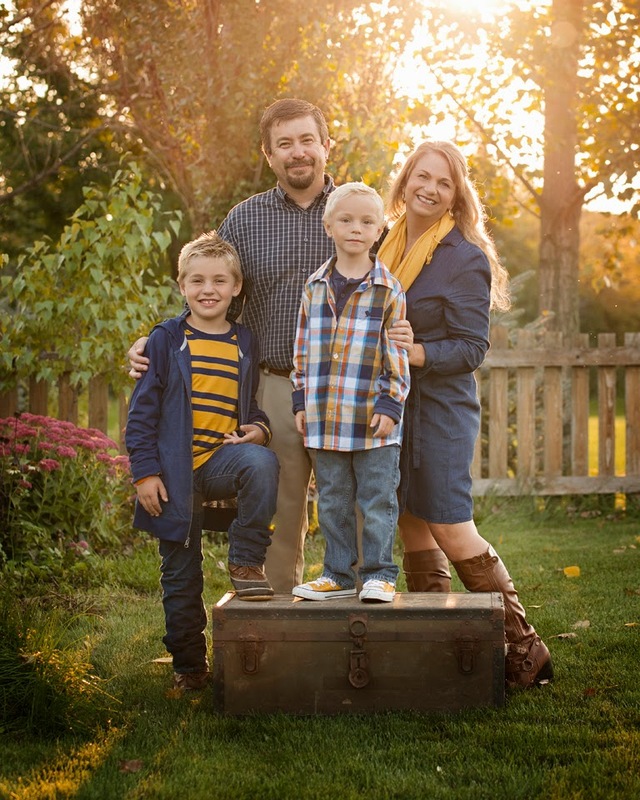 For the blue and gold photo of my family, I purchased all the elements online from Old Navy. I did all the shopping right from my ipad in bed! For the family session at the beach I purchased everything at Target in 30 min. 4. Pick 2 Neutrals and a "Pop" color. Gray, white, Navy, Denim, Khaki, all make great neutrals. Black is a neutral but it can be too strong and dominating so I would use it sparingly. Then, pick your color that is going to make your photos pop. I love yellow, red and turquoise but you can any color that matches your personality or environment. 5. Layers and Accessories: I love the trend of statement necklaces and scarfs. This is a great way to bring in a pop of color. Notice my boys are always wearing layers. A jacket, a shirt under another, or even a scarf! These are the things I keep in mind when I am planning a photo for my own family. You can bring props or items that would make the session unique to your family. A favorite quilt, stuffed animal, or even a chair. You can find tons of ideas on my Pintrest board, or by browsing the Family Gallery here on the website. I think the Wigglebug Families are the best dressed around. 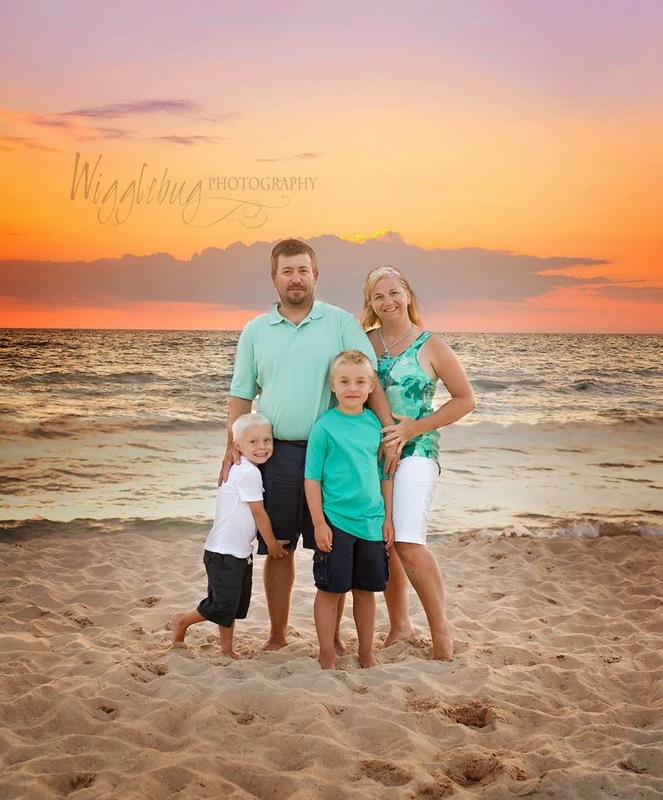 I am Tricia Schumacher and I am the photographer behind the camera at Wigglebug Photography. Wigglebug Studio is located in the DeKalb, Symcamore IL area. I travel to St. Charles, Geneva, Rockford, Sugar Grove, Cherry Valley, Roselle, Mongomenry and many more areas. 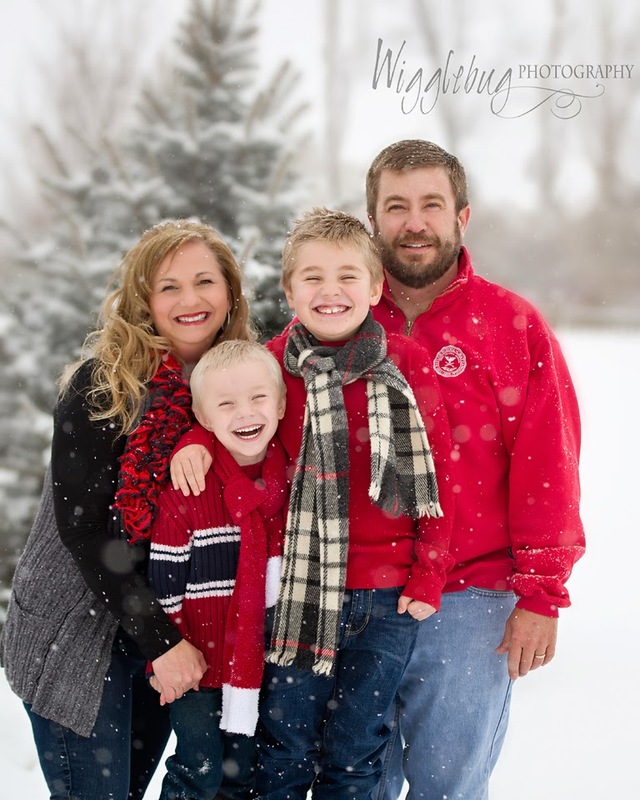 Contact me today to start planning YOUR family photos session.